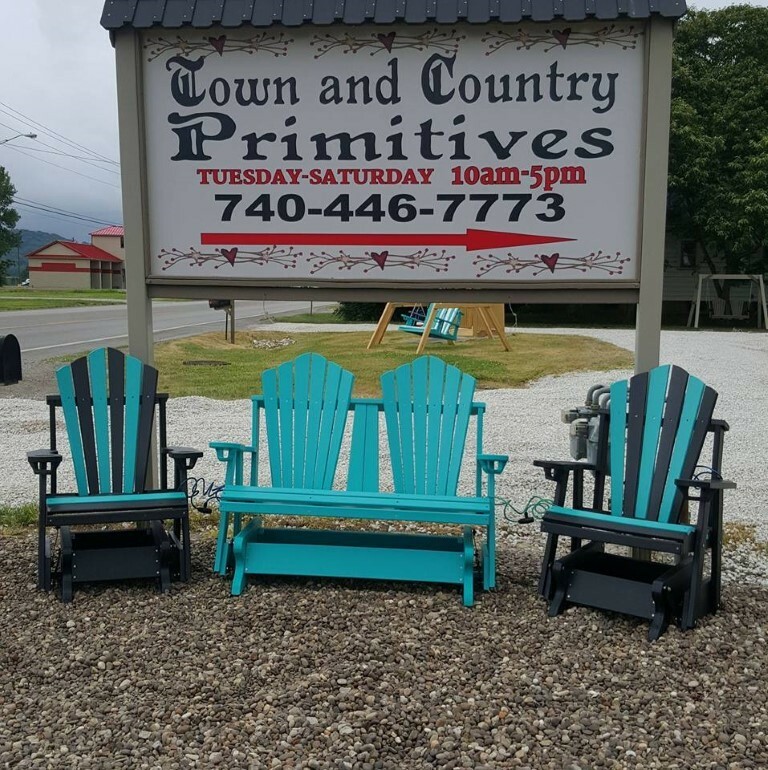 ﻿ Town & Country Furniture and Primitives - Ohio. Find It Here. Specialize in hand made indoor and outdoor furniture, as well as Primitive crafts.Reviews include:"We bought a couple of chairs and a swing here 4 or 5 years ago. I noticed this summer that the chairs had developed a couple of cracks in the support pieces where the screws went through. Sent some pictures of the chairs and they decided instead of replacing the damaged pieces, they traded for new chairs. Excellent customer service, would definitely buy here again! ""Thoroughly enjoy this store! Pretty well furnished my house from this place! Very reasonable prices and friendly people!"